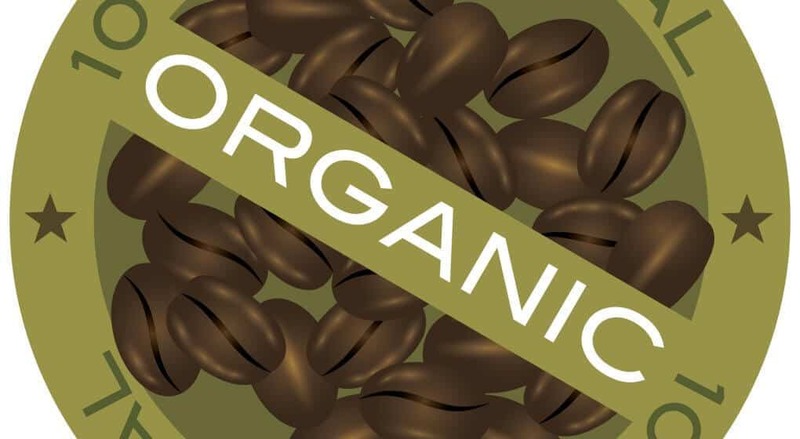 ▷ What Are the Benefits of Organic Coffee? / What Are the Benefits of Organic Coffee? What Are the Benefits of Organic Coffee? 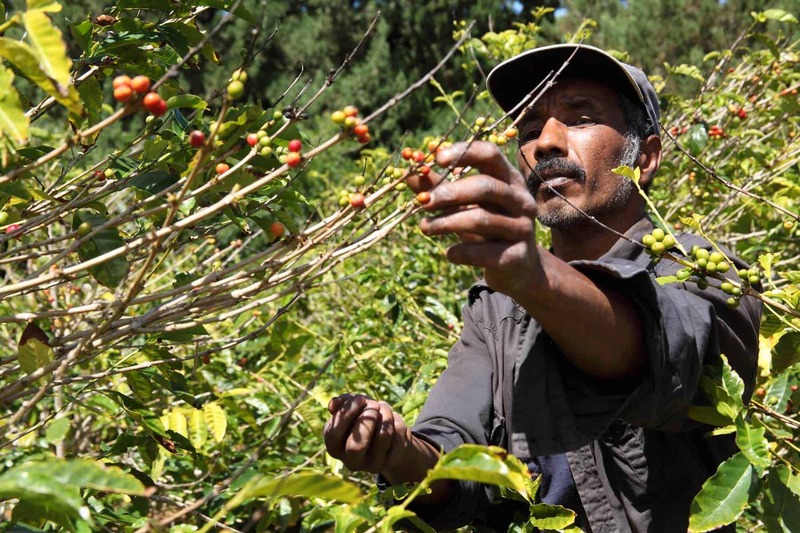 Conventional Coffee - What’s The Real Cost? Are you willing to pay more for your beans if it means getting to drink better coffee? Have you wondered if the big price difference between conventional coffee and organic coffee is really worth it? I have no problem paying for better coffee but I did wonder if the benefits of organic coffee really justified the higher price tag? It’s become quite fashionable to fill your basket with organic products but I needed a better reason than that if I was going to make the switch. When I had my first cup of organic coffee I was a little disappointed. I was hoping for a noticeable difference in flavour but, to be honest, I didn’t notice any. It was good, but I’ve also had great tasting coffee that wasn’t organic. And yet, despite the fact that organic coffee doesn’t really taste any better than conventional coffee, it’s all I ever buy now. The real reason why organic coffee is better than conventional coffee has nothing to do with the taste. And as a side note: I don’t use pre-ground coffee. I always buy freshly roasted, whole beans and grind them right before brewing in my coffee maker with grinder. To understand what it takes for coffee to be labeled as “organic” we first need to understand how conventional coffee is grown. As with most cash crops, farmers want to get maximum yield from the area under cultivation. Coffee naturally prefers shade but farming substantial quantities in a forest is difficult. Most of the conventionally coffee plants grown today are hybrids that have been developed to thrive in full sun. Now farmers clear large swathes of forests to be able to plant more of these plants in big fields. This leads to increased yield, but at the cost of the ecosystem that was there before cultivation started. Getting rid of the forest and natural vegetation removes the habitat that birds, lizards and other bug eaters thrive in. To combat pests and bugs that feed on the coffee plants farmers now need to use more pesticides. Expensive synthetic pesticides are some of the most toxic but remain the preferred choice of most farmers as the most effective means of getting rid of the bugs. It’s not just the bugs that are poisoned though. Farm workers often do not have adequate protection while spraying the plants or while harvesting the pesticide covered beans. With the forest ground cover removed, the soil loses its natural protection against soil erosion. When it rains, the topsoil washes away and with it the synthetic pesticides. These pesticides end up leeching into the ground and possibly the water supply, affecting the communities that live around the farms. Not only do they breathe these chemicals when they’re sprayed but they now have to contend with it being in the aquifers they depend on for their drinking water. As the topsoil continues to wash away, the once fertile soil gradually loses its nutrients and eventually requires more and more fertilizer to be added to yield a decent crop. For coffee to be certified as organic it needs to be grown and processed according to some strict rules. In the US these rules and standards are set by the National Organic Program (NOP) which falls under the US Department of Agriculture. The standards they’ve set are designed to promote sustainable cycling of farm resources, ecological balance and the conservation of biodiversity. Organic coffee plants are also susceptible to pests but no synthetic fertilizers or pesticides are allowed to be used if the farm is to retain its organic status. In fact, a farm needs to have been free from the use of synthetic pesticides and fertilizers for three years to be able to have their produce certified as organic. Only natural pesticides and fertilizers can be used on these farms. While organic pesticides as used, organic farmers are expected to use prevention as their primary form of pest control. 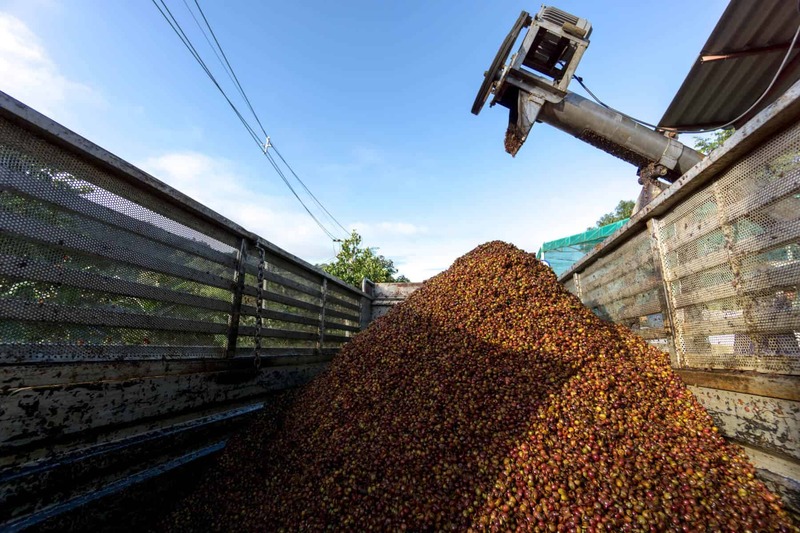 When it comes to fertilizers farmers will use things like chicken manure, coffee pulp and general compost instead of the synthetic types that conventional coffee growers use. Organic coffee is normally grown in shaded forests where the natural environment and ecosystems are retained. This means that the other plants and animals continue to help to manage the bugs and contribute to the natural fertilization of the soil. These farms are also less susceptible to water erosion and changing weather conditions. The fact that the pesticides used are natural doesn’t mean that they aren’t toxic. While not as toxic as synthetic pesticides these still need to be kept out of surrounding water sources and ecosystems as far as possible. Organic farms are required to maintain buffer zones to prevent unwanted substances from running off into surrounding areas. All of these requirements, combined with the reduced economies of scale, make the cultivation of organic coffee more expensive than regular coffee. Is it worth it though? There are many benefits of organic coffee and these accrue to the consumer, farmer, surrounding communities and the environment. Synthetic pesticides are not something you want to be adding to your diet. Although most, if not all, of the pesticides on the beans are burnt off during the roasting process I prefer to be 100% sure I’m not ingesting any. The saying: “You are what you eat” applies to plants too. Using natural fertilizers means that the soil that these plants grow in is more nutrient rich. This results in healthier plants and beans that have more antioxidants, vitamins and minerals. Because organic farmers don’t use synthetic pesticides or fertilizers these toxic chemicals don’t end up poisoning the air, water and surrounding environment. Organic coffee is grown in shaded forests and so the surrounding vegetation is retained rather than being cleared. This means that birds, insects and other animals continue to thrive in their natural habitat. The natural vegetation promotes soil retention and also adds to the natural fertilizing of the soil. The nutrients in the soil are retained and replenished naturally making for sustainable farming that will continue to produce crops year after year. I don’t like the idea of enjoying a cup of coffee at the expense of someone else’s health or quality of life. When I drink organic coffee I know that the farmer and his workers didn’t have to breathe synthetic pesticides or herbicides to produce it. I enjoy my coffee so much more now, knowing that the people who picked the beans didn’t have to worry that their work might be making them sick. Farms are usually surrounded by communities of local people and organic farming keeps them healthier than conventional farming does. The areas where coffee is grown are normally rural areas where the residents rely on local water sources for their needs. Organic farming methods ensure that these communities can continue to enjoy clean air and water while benefiting from the employment opportunities that the farm affords them. It also means that when they are at work they are in a safe work environment. Farmers who employ organic farming methods are also more likely to align their business with fair trade practices. They do this both because they see the real societal benefits in their communities but also because their end customers often insist on it. Make sure that the coffee you buy is certified as organic. Understand that some smaller coffee growers may not be able to afford certification but may still employ organic methods. Do your research and support smaller growers. Even if coffee is certified as organic it’s a good idea to check if they also employ fair trade practices. It does cost a bit more but I feel that the health benefits of organic coffee and the conscience free enjoyment of a great cup make it totally worth it. So is organic coffee worth it to you knowing now that it not only benefits your health but also the farmer's life and the environment? Share your opinion with us in the comments section below.